Military World Magazine Launching at Beltring! As our beloved WWII Reenactors Magazine has bitten the dust (*sob*), it is about time someone filled that empty void for us! Well, Dave King has saved the day with Military World Magazine! I have kindly been asked to write some more articles, so look out for my tuppence worth in each issue. 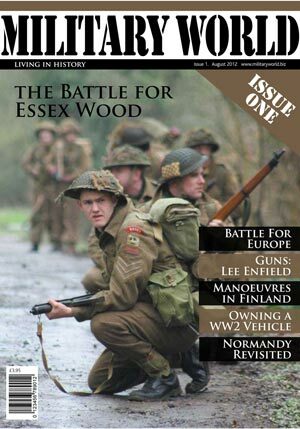 The first one is due out at the War and Peace Show, so make sure you get your copy and support a British publication! The magazine will feature reenacting groups, history, suppliers and more! Posted in Uncategorized and tagged beltring, kitten von mew, kitty meow, kitty mew, military magazines, military world magazine, war and peace show, ww2 magazines, wwii magazines. Bookmark the permalink.